Do High Regulatory Costs Force Public Firms to Go Private? The SEC Eligibility Rule, which aims at shoring up the Over the Counter Bulletin Board (OTCBB), has expanded the financial disclosure required to maintain a corporate listing on the electronic market. Meanwhile, the Sarbanes-Oxley Act, among other requirements, expands the range and depth of financial statements and other disclosure requirements of many publicly held companies and substantially shortens the period for making certain SEC filings. But these steps, aimed at increasing the financial transparency of U.S. companies, could backfire if companies respond by going private instead. In these post-Enron, post-WorldCom times, that would deal a body blow to confidence in capital markets. What, then, can be done? Wharton accounting professors Brian J. Bushee and Christian Leuz say they have an explanation — and a possible solution. For many small-cap stocks, January 4, 1999 was a significant date, marking the implementation of the Eligibility Rule for the OTCBB. Established in June 1990, partially in response to the Penny Stock Reform Act of 1990, the Bulletin Board is essentially an electronic quotation medium for small-cap securities not traded on NASDAQ or listed on one of the national exchanges. It is operated and regulated by the National Association of Securities Dealers (NASD), a not-for-profit association of brokers and dealers that is also responsible for the NASDAQ. 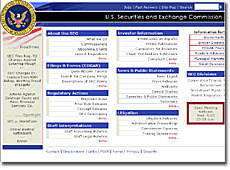 Before the passage of the eligibility rule — which was immediately effective for new OTCBB quotations, but provided a phase-in period from July 1999 through June 2000 for existing quoted securities — issuers in the OTC markets did not have to file periodic financial reports with the SEC if they met certain conditions. But in the late 1990s, note the professors, the relatively unregulated environment of the OTCBB was thought to be driving a surge of OTC securities fraud. According to Bushee’s and Leuz’s research, on January 4, 1999, there were 5,613 firms listed on the OTCBB that were subject to the eligibility rule phase-in schedule. By June 2001 (the terminating date under their study) only 1,920, or 34%, still traded on the OTCBB. The majority of firms, almost 59%, were delisted for noncompliance either with the eligibility rule (3,190 during phase-in, 399 after). Even more strikingly, 74% of those that previously did not file with the SEC chose to be delisted from the Bulletin Board, rather than comply with the new filing requirements. Most of these firms moved to the Pink Sheets of the National Quotations Bureau after they were delisted from the OTCBB. In fact, note the professors, the Pink Sheets doubled its number of quoted securities from around 3,000 to more than 6,000 due to the delistings from the OTCBB. Referring specifically to OTCBB firms, the paper notes that, for the vast majority, the costs of mandatory SEC disclosures appear to outweigh the benefits. The writers add that, an important consequence of mandatory SEC disclosures is to push smaller firms with lower outside financing needs into a less regulated market, rather than to compel them to adopt higher disclosure standards. While the companies noted in the letter were primarily foreign-issuers and debt-only listed companies, a PricewaterhouseCoopers survey released in July, titled, “Senior Executives Divided on Cost of Complying with Sarbanes-Oxley Act,” reports that executives at smaller companies — defined as firms with total revenues under $1 billion — are more likely to perceive compliance with Sarbanes-Oxley as costly than those at larger companies. According to the report, 58% of small-company executives said compliance was costly, compared to 38% of executives at companies over $1 billion. They tend to be companies like Comtrex Systems (OTC Bulletin Board: COMX), which designs, develops, assembles and markets computer software and electronic terminals for retailers, and had $6.7 million in revenues for the fiscal year ended March 31, 2002. In a June 2003 press release announcing it would deregister, and was likely move to the less-regulated Pink Sheets, the company cited “the expected substantial increase in costs associated with being a public company in light of new regulations promulgated by the SEC under the Sarbanes-Oxley Act of 2002” as one of the reasons for its action. Meanwhile, Leuz is careful to note that the issue is not too much or too little regulation in general. Instead, he says, “The key problem is that the right amount may differ across firms.” He advises rethinking the current one-size-fits-all approach to regulation, and suggests that the markets may consider establishing exchanges that clearly feature different tiers or levels of disclosure and other standards. They might range, for example, from the high level of the major exchanges, like the NYSE, to a less-regulated environment where “buyer beware” warnings are clearly posted.